Nottingham Forest claimed a much needed win - and halted Sheffield United's Championship charge - as they secured a 2-1 victory at the City Ground. Goals from Jason Cummings and Kieran Dowell helped Mark Warburton's side fight back following John Lundstram's opener for the Blades. United had started the day second in the table following a flying start to the campaign, but despite piling on the pressure in the final stages, they could not find a way past Reds keeper Jordan Smith, who made a massive save to deny Mark Duffy in injury time. 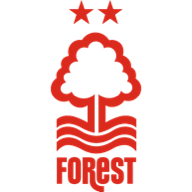 And it was Forest who ended a poor run of three straight defeats to ease some of their pressure on their shoulders heading into the international break. Forest went behind to an early goal for the fourth game running - and this time it took only three minutes for United to take the lead. A well-crafted move ended with Enda Stevens cutting an incisive ball across the face of the box for Lundstram to fire a low shot powerfully home, with the ball seeming to squeeze under Jordan Smith's body. Forest levelled seven minutes later when the visitors failed to properly clear a corner from Ben Osborn. Joe Worrall won back possession on the edge of the box, giving Cummings the chance to fire home emphatically with an unstoppable shot. 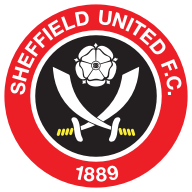 It was United who were looking the more likely to score again however and, when Duffy delivered a cross into the centre, George Baldock flicked home a header, but from an offside position. Forest were the next to strike with Daryl Murphy sending a Darikwa cross back across goal to the far post where Dowell swept home low into the corner with a confident finish to give the hosts the lead in the 27th minute. The home side continued to look nervous at the back - but also a threat at the other end - where a cross from Traore was only half cleared to Cummings, who was denied by a smart near post save from Jamal Blackman. Cummings and Murphy both came close with headers, while Cummings fired wide from a good position following a driving run from Murphy down the centre. Forest started the second half brightly and a shot from Osborn span just wide of the post after taking a massive deflection. Half-time substitute Andreas Bouchalakis flicked a header just wide. The Reds should have extended their lead when Darikwa carved out a great chance for Dowell, but he fired over. Murphy was also off target after turning in the box. United continued to push but could not find a way past Smith in the Forest goal, who denied Duffy with an outstanding save, diving high to his right to push away his powerful shot. And, when the keeper was beaten by Cameron Carter-Vickers' header, the ball bounced away off the inside of the post as Forest held on for victory. Mark Warburton: "It is a vital three points because of the recent run of results - and I mean results, not performances. I could sense the tension on and off the pitch, so it felt like a very important three points. We played very well against Fulham and came away with nothing. We did not hit the same heights this afternoon, but came away with three points. "We could have scored two more goals at the end of the first half, with a header from Daryl (Murphy) and Jason on his right foot - it fell on his wrong foot, for him. There are lessons to be learned from this, of course, but the most important thing is that we go into the international break with a victory, following a poor run of results." Chris Wilder: "I don't know whether to cry or smile, but I think I will go down the smiling route because it was confirmed today that my team has landed in the Championship, with the performance we produced. It was an outstanding performance, one that did not get rewarded with a win. "But I am not going soft because we have won games this season and I want us to win games moving forward. Some of the boys might have expected a rocket today. They do not deserve a rocket. People will walk away from this game and see what we have done to Nottingham Forest. We have not married up a performance with a result. We made a couple of mistakes that were clinically punished."